If you are wandering around Fort Mason in San Francisco and come across what appears to be a ship sticking out of a retaining wall in the parking lot, barely covered by a small shelter, then you have discovered the stern of the ship, the Galilee. There is no signage presented for the ship, but the name, "Galilee", although faded is printed on the wooden hull. The ship is held up by beams and cinder blocks. Only the stern for the Galilee is located at Fort Mason. Her bow is located behind Casey Hall at the Benicia Historical Museum. Meanwhile her midsection is somewhere in Sausalito at the Galilee Harbor, named after this ship. Also supposedly, a long piece of lumber from the Galilee is located at the Sausalito office for the non profit group, Educational Tall Ship. 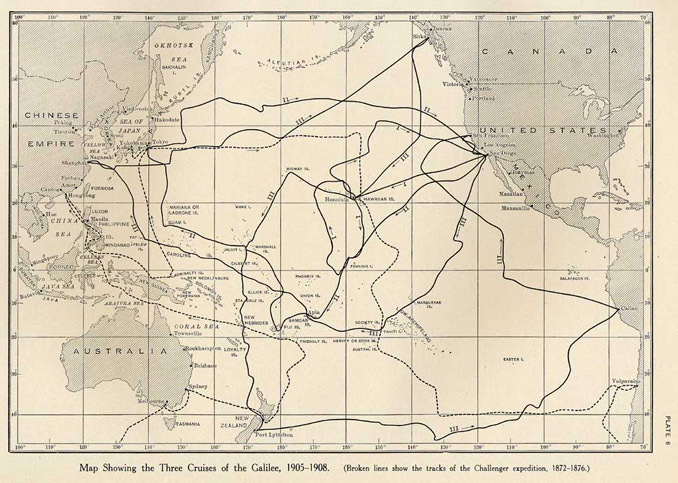 Why the Galilee is split up amongst all these locations, I'm not sure, but the Galilee was originally a wooden ship built in 1891, by master ship builder, Matthew Turner. He resided in the Bay Area and setup his Benicia shipyard in 1883, at what is now West 12th Street, and today the location of the Matthew Turner Shipyard Park. He built 228 ships, 154 of them right there in the Benicia shipyard, and more than any other single shipbuilder in America. Today is he also has an elementary school in Benicia named after him. The Galilee is a Brigantine sailing vessel that was 132 feet, three inches long, coming in at 328 tons. She started out as a packet ship, delivering packages back and forth from San Francisco to Tahiti. 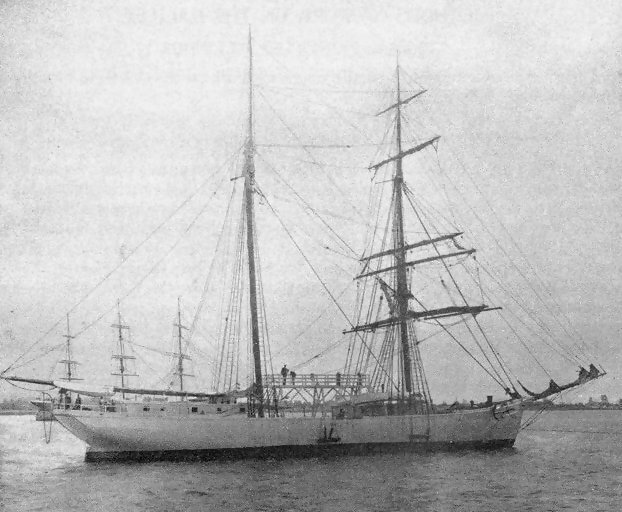 On her maiden voyage, she set a record of 22 days for the return trip from Tahiti. A record that still stands for wooden hulled sailing vessels. In 1904, Louis Agricola Bauer became the first director of the Department of Terrestrial Magnetism at the Carnegie Institution. The original role of the department was to chart the Earth's magnetic field, which was mostly accomplished by 1929. Today the department still works towards understanding the "Earth and its place in the universe". 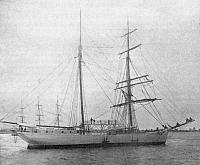 From 1905 and until 1908, they were the owners of the Galilee. The Galilee was converted into a magnetic observatory, with much of her metal being replaced. She began conducting scientific exploration and made three separate voyages in the Pacific Ocean, all the while making observations of the Earth's magnetic field. 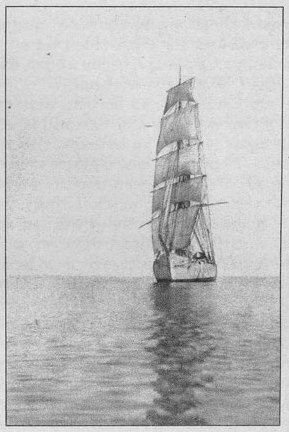 Sadly it was determined that although much of the Galilee's metal had been removed or replaced, she still had too much magnetic materials in her, thus a new ship, the Carnegie, was built and eventually replaced the Galilee in her scientific role. In 1911, the Galilee was sold to the Union Fish Company of San Francisco, and for sixteen years was used to fish for codfish. In 1929, she was used by the tuna industry. In 1933, the Galilee was beached in Sausalito in what later became known as "Galilee Harbor". She operated as a houseboat or an office for 42 more years. In 1975, her stern was removed and ended up in Fort Mason. In 1987, her bow was removed and it ended up at the Benicia Historical Museum. The non profit group, Educational Tall Ship, is building a new wooden ship using much of the Galilee as a reference. The new wooden ship is called the Matthew Turner.